Medium: lithograph (after the original). 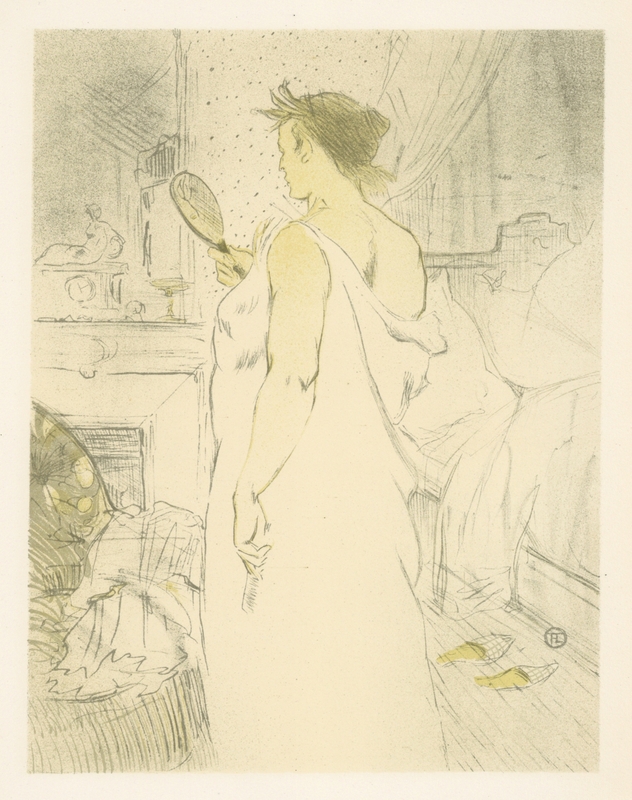 In 1896 Toulouse-Lautrec executed his famous "Elles" portfolio; this edition was printed in 1952 by Mourlot Freres. The image size is 11 x 8 1/2 inches (282 x 218 mm) and the full sheet measures 15 x 11 inches. Signed in the plate (not by hand).